Otto De Laurentis was a film director of the 30’s and 40’s, who became fascinated at an early age with the new art of film special effects and cinematography. 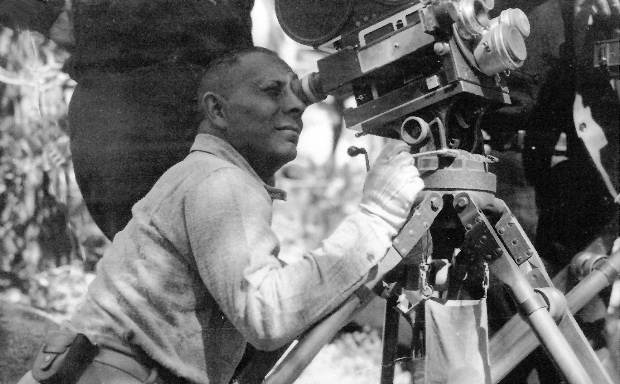 His films included Herr Kong (a sequel to King Kong), One Flew Over the Pterodactyls Nest and Zeppelin vs Pterodactyls . His fascination with prehistoric creatures, and the fact they appear in all his films, led to his nickname “Dino”. When Germany decided to make a propaganda film to demostrate the new Jurassic Reich, Otto was an obvious choice, and he leapt at the chance to work with real dinosaurs! 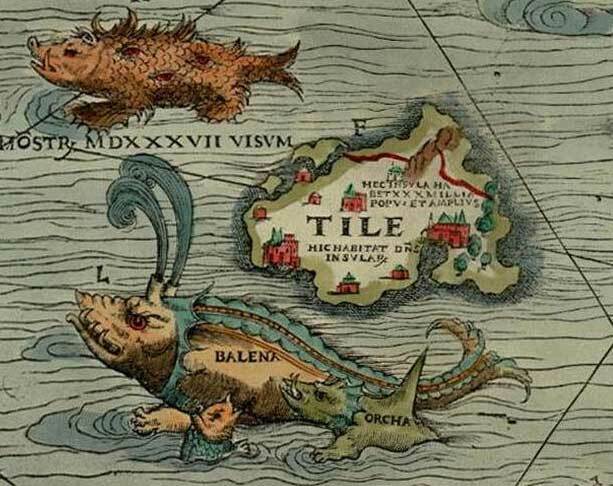 Thule as Tile on the Carta Marina of 1539 by Olaus Magnus, shown located to the north west of the Orkney Islands, with a "monster, seen in 1537". Thule was first referred to by the ancient Greeks – a land somewhere to the north of Britain, in the Arctic circle. Nazi mystics believed Thule to be the ancient origin of the Aryan race. Much of this fascination was due to rumours surrounding the Oera Linda Book found by Cornelis Over de Linden during the 19th Century. The Thule Society was founded in 1919. It had close links to the Deutsche Arbeiter Partei (DAP), later the Nationalsozialistische Deutsche Arbeiterpartei (NSDAP, the Nazi party). And they were right. Thule existed – but no longer on any modern map – or on the surface of the Earth. In 1940 Germany invaded Norway, for strategic military reasons historians would lead us to believe. But the real reason was that the Germans had come into possession of documents that purported to lead to a world that lay beneath the world’s surface – primitive, hidden, waiting…..
And so Norway was captured by the Nazis – but no-one knew the real reason. German expeditions found the entrance to the interior of the earth, to the lost, sunken world of Thule. There they found a prehistoric land that existed beneath our own – and there they discovered living, breathing dinosaurs. The expedition returned with some dinosaur young, some eggs, – and a new path was forged for Germany. At last Germany had made contact with its mythic roots – and it had the creatures to prove it – now Germany would demonstrate to the world that it commanded not only the best troops and technology – now it could harness and train the most primeval forces the world has known. Terror was about to be unleashed on the battlefield. You are currently browsing the archives for the Background, People, Events category.